Kuuluma is a sound art project that combines practices and methods of communal art and artistic research. Our aim is to open a space for culture of listening and to study and chart Finnish soundscapes with different methods. As artistic research project we hope to study how to foreground the implicit knowledge inhbitants have of their acoustic life-worlds. How to empower citzens to communicate their understanding and concerns about their acoustic surroundings with each others. The Finnish translation of a soundscape is “äänimaisema” which literally means sound landscape. Although this term has some important implicit meanings like the senses of space and foreground, middle ground and background it falls short in some important aspects. It implicitely brings forth ideas related to landscape painting and aesthetics which we find problematic. Therefore we hope coin a term into Finnish language: “kuuluma”. It was introduced in 1928 by ornithologist Jussi Seppä in his book Luonnon löytöjä. We think that kuuluma as something that is given to sense of hearing is more neutral than current term “äänimaisema”. First documentation of River Aura Symphony in May 20211 is out now. River Aura Symphony is a sound composition by Simo Alitalo for River Aura Valley, shiphorns, black powder cannon and church bells. In the second perfomance ships horns are assisted by 100 brass, wind and percussion players conducted by Pessi Parviainen. Kulttuuripääkaupunkivuoden avajaisissa kuultu Aurajokisinfonia esitetään uudelleen Jokisataman avajaisissa Perjantaina 27.5. klo 17:30 alkaen Martin sillan ja Forum Marinumin välisellä alueella. Aurajokisinfonia on Simo Alitalon ääniteos Aurajokilaakson akustiikalle, laivojen tyfooneille, mustaruutitykille, kirkonkelloille. Tässä esityksessä alusten tyfooneja avustavat Pessi Parviaisen johtamat satakunta Turun ja lähiseudun puhallin- ja lyömäsoittajaa. Carta de Ausculto/ Charter of Listening by Simo Alitalo is in the Charter of the Forest exhibition in The Collection museum in Lincoln, UK 28.5 – 4.9.2011. Carta de Ausculto was commissioned by The Collection & Linconshire County Council. Carta de Ausculto is 16 channel sound installation. 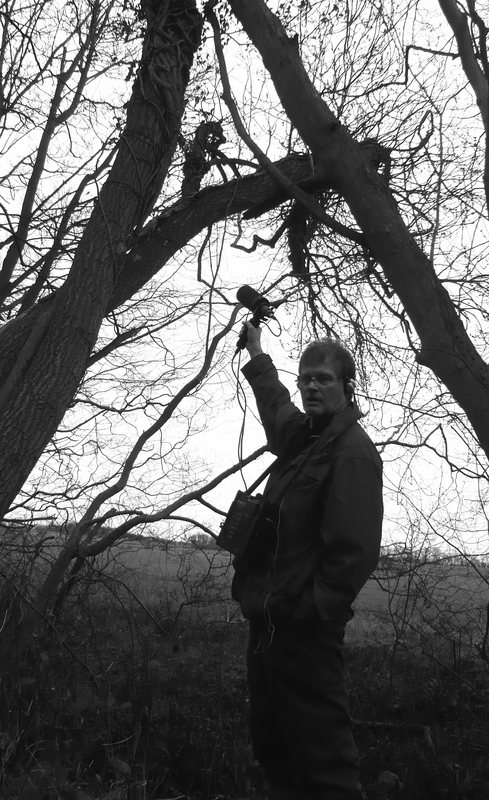 It is a documentary of the acoustic ecology of Lincolnshire limewood forests before, during, and after the “Ash Thursday” (15.4.2010) when North European airspace was closed for airtraffic. The sound material for Carta de ausculto was collected during the months of April, July and October 2010. Simo Alitalon tilausteos Carta de Ausculto/ Charter of Listening on esillä The Charter of the Forest -näyttelyssä The Collection -museossa Lincolnissa, Britanniassa 28.5 – 4.9.2011. Carta de Ausculto on 16-kanavainen ääni-installaatio. Se dokumentoi Lincolnshiren lehmusmetsien akustista ekologia “Tuhkatorstain” (15.5.2010) jälkeisen lentokiellon aikana sekä sitä ennen ja jälkeen. Teoksen äänimateriaali on tallennettu huhti-, heinä- ja lokakuussa vuonna 2010.
binaural documentation of the installation can be listened at soundcloud. Aura River in my hometown Turku has during the last few weeks, sounded as it used to – at least momentarily: sounds of ships horns and signal devices have returned. I have been recording sound samples for Aura River Symphony. Currently I am charting and recording the typhons and other devices so that I would get an idea how they sound and how loud will they be. And also the echos and reverberations of buildings and the river valley. Next I´m testing the church bells. Then there is always the weather which makes it very difficult to know how everything will actually sound: moisture, fog, wind, not to mention the snow – they all change the acoustics dramatically. I am working with three projects simultaneously during the year 2010.
international sound art exhibition in Aboa Vetus & Ars Nova 10.9.-31.10 2010. I am curating the international sound art exhibition together with Tuike Alitalo and amanuensis Silja Lehtonen from the Ars Nova museum. I am also exhibiting my own work as part of Klangi. It is called Lincolnshire Sketches and is based on my second ongoing project of this year – Charter of the Forest. 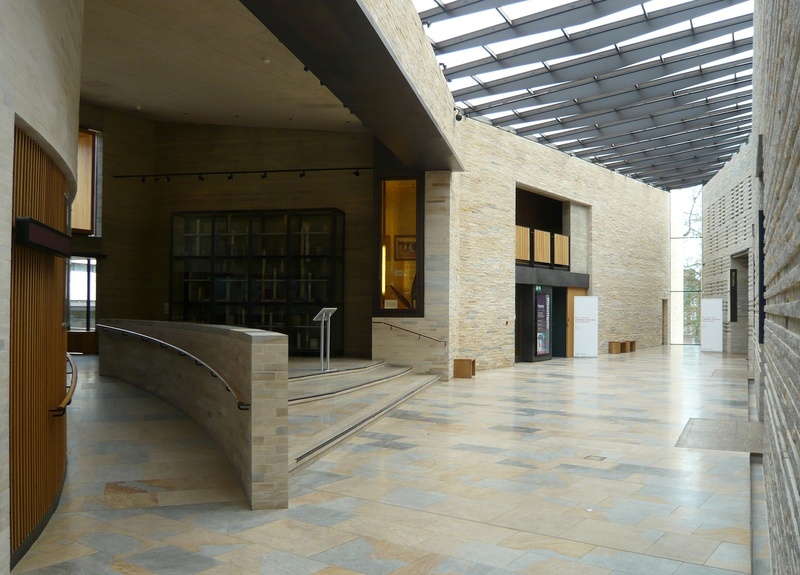 residence and environmental recording project in Lincolnshire, East Midlands, UK, in co-operation with Collection, Lincoln. First part of the residence was accomplished in April 2010 when I did a lot of environmental field recordings in Chambers Farm Woods. The exceptional and surprising part of the residence was the possibility to record in the woods six days after the Ash Thursday (15.4.2010) when there was no airplanes (except few in the last days). I am back to Chamber Farm Woods for ten days in the beginning of the July. During this period I am also organizing sound walks for local people, adults and children, in the woods together with my partner and assistant Tuike Alitalo. I am also giving an artist talk at the University of Lincoln Fine Art department. I am planning to return to Lincoln and Chamber Farm Woods for one more time this year – perhaps in late september to listen how autumn comes to the woods. More about Charter of the Forest a document that is in display at Lincoln Castle and is one of the inspirations for my research in Lincoln – here. is a sound art project about the City of Turku. It is part of the cultural program of the Turku 2011 Cultural Capital of Europe. The organizer of the event or series of events is The Finnish Society for Acoustic Ecology . There will also be sound walks, workshops etc during next fall and the spring 2011. I have also done recordings of Turku environment during the last winter and spring trying to document the church bells of Turku. These recordings will be part of the Turku Listening Map, one part of Turku is Listening. 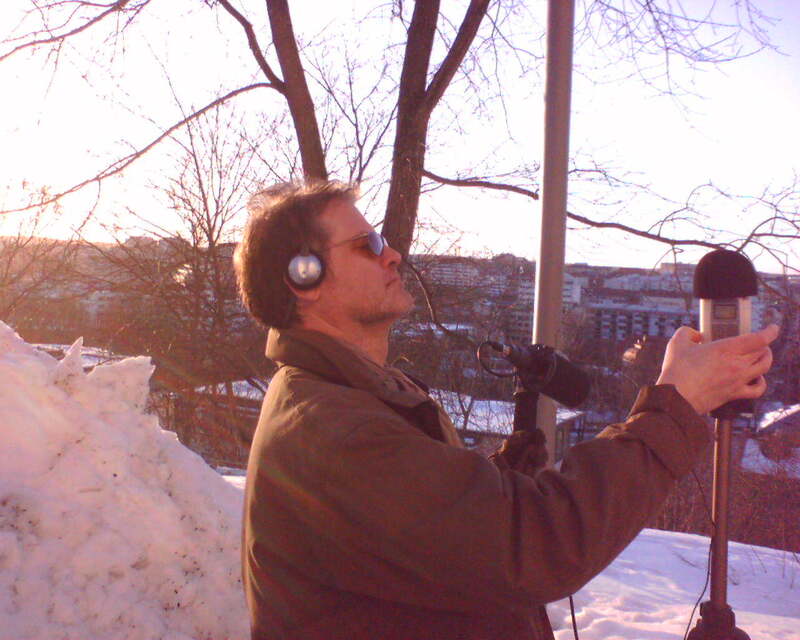 Recording Turku and researching the soundscapes in March 2010 on Vartiovuori Hill.